This is another proof that the coca caudillo is nothing but a cheap demagogue. He wanted to portray himself as Mandela’s Latin-American leader, but everything he does only serves to perpetuate himself in power. This amazing article tells where we stand on children rights, despite our honorable background and intentions after World War II. The above is the opinion of Bolivian Thoughts. The global campaign to insulate schools and students from the ravages of war gained momentum today with a string of four new endorsements of the Safe Schools Declaration. The announcements by Djibouti, Macedonia, San Marino, and Peru during the United Nations Security Council open debate on children and armed conflict brings to 79 the number of countries supporting the declaration, a political commitment by countries to do more to protect students, teachers, and schools during times of war. Peru’s endorsement is a particular game changer. Now, the majority of current Security Council members have committed to the declaration’s commonsense steps for alleviating the negative consequences of war on education. Peru is also the 12th Latin American country to join. But Bolivia, the other Latin American country on the Security Council, has not endorsed the declaration. This runs counter to Bolivia’s historic role in advancing protections for children during war. 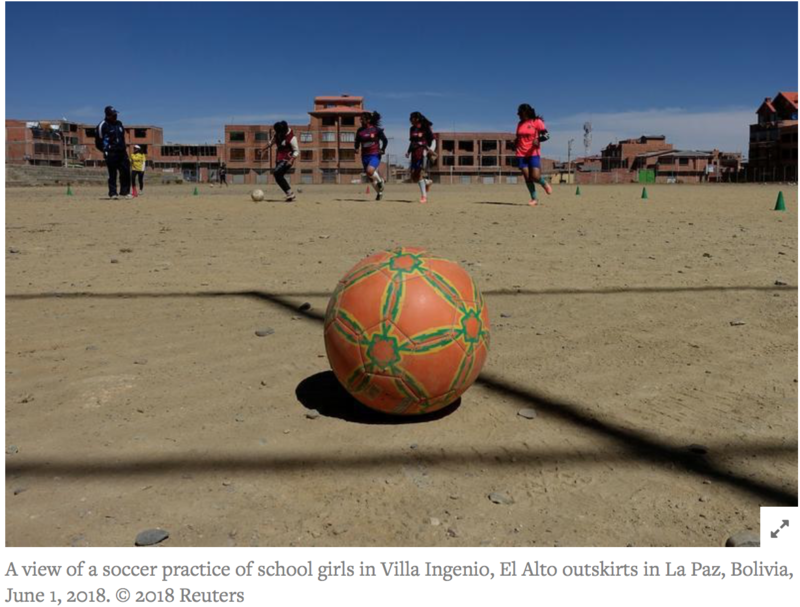 Following the Second World War, Bolivia’s Red Cross convened a group of 15 experts, including teachers and health professionals, to better protect children during wartime. They proposed to draft an international treaty that for the first time would ban the use of child soldiers, entitle children affected by conflict to an education, and establish special protected zones for facilities used exclusively for the welfare of children, to the exclusion of any military use. The Bolivian Red Cross’ proposal received insufficient global support to advance, but its ideals gained traction. The 1949 Geneva Conventions stated that warring parties had a duty to facilitate the work of institutions devoted to the care and education of children. A global ban on child soldiers was eventually realized in 1977 when the use of children under 15 in armed conflict became internationally recognized as a war crime. But the idea that facilities such as schools should be protected from military use received little international attention until 2015, when the Safe Schools Declaration proposed that countries should refrain from using schools for military purposes, such as converting them into military bases and barracks. Nearly 80 countries now support that ideal and have made a commitment to making schools safer for children around the world. Bolivia should follow up its pioneering work on protecting children during armed conflict and be the next to join this community. This entry was posted in Bolivia, Politics, Social Unrest and tagged children rights, demagogue, government failures, public policy failures. Bookmark the permalink.